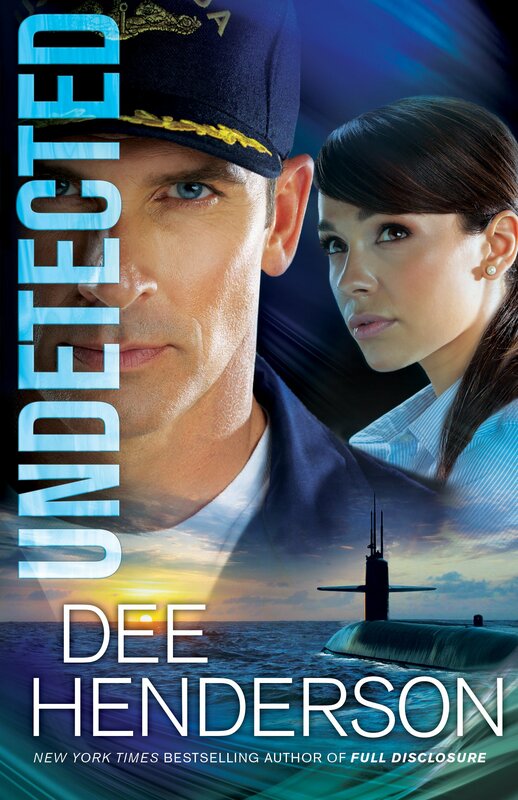 Dee Henderson’s recent series of books has taken a different approach to romantic suspense. Her recent one, Undetected, was given to me free from the publisher in exchange for a review. I fell in love with Dee Henderson’s writing when I managed to snag a free copy of The Negotiator (The O’Malley Series). The entire series is filled with intensity in the action along with the emotional and spiritual drama. Her Uncommon Heroes Series also had that same intensity. The style of storytelling has changed with this series. Starting with Full Disclosure there was still some of that intensity. With Unspoken, the intensity was less and more of an emotional nature and suffered for not having the female’s point-of-view (in my opinion). Undetected starts out slow. Commander Mark Bishop is in the US Navy commanding a ballistic missile submarine. He had been married once before but as a widower, longs for a partner to spend his shore leave and life with in between 90-day missions at sea. Gina Gray is the sister of another commander and close friend of Mark’s and he’s known her for years. She’s on the lookout for a husband and her brother, Jeff, suggests to Mark that he look that direction. Due to an age difference (11 years), Mark initially balks this and gives way to another worthy Navy man to have the field. As Gina “the genius” uncovers game-changing ways for the navy to use deployed submarines and protect them, Mark is by her side and guiding her through. So is his competition, Daniel. Gina continues to uncover ways to make life safer for her brother and his friends when deployed on the floors of the world’s oceans. It also comes with a cost. Security and the implications if other nation discovered these findings. Mark has to convince Gina to consider him as a potential husband in between deployments and the emotional toll of uncovering complicated science for simple ideas that change the way underwater war is fought. Can she also see her way clearly to loving Mark? This book has a bit of suspense towards the end. It is a well written romance filled with complicated details of the Navy and sonar and submarine science. This is not a book filled with an ongoing personal threat. I kept anticipating that since Gina was a security asset that her own personal safety would be at risk, but that never happened. (Sorry if that’s a spoiler.). This book is more of a contemporary/military romance. It is well researched and written but consists more of a relationship being built than it does any major suspense.